Aldo's spring summer collection is amazing right now. 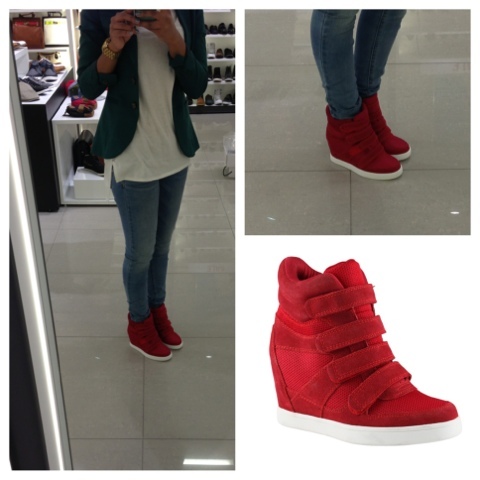 Finally tried on these bright red sneaker wedges and I immediately fell in love! What do you all think? Only $80 CDN !